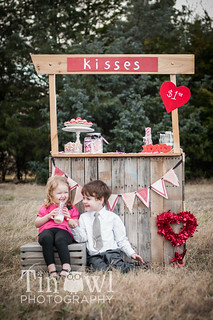 We are so happy to show off our Valentine’s Mini sessions coming up soon. $75 for a 20 minute session and you get 12 digital images on CD. 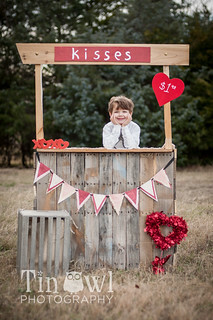 2 Themes to choose from the kissing booth or the white backdrop with red hearts. 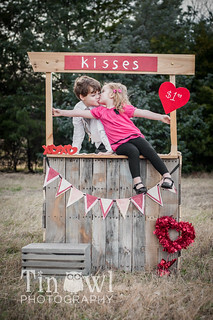 Want to have some unique and personalized valentines? 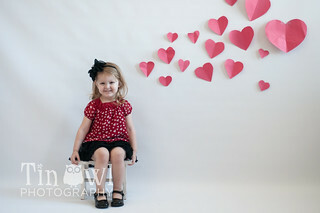 With your pictures we can make your valentines for you! January 31st we will be at Reverchon Park in Dallas and February 1st we will be at Prairie Creek in Richardson. Book now to claim your session! The Holidays are upon us, what better way to celebrate than showing off your family photos? This week is about giving thanks, and we want to make sure our customers understand we value you and your families. Thank you so much for letting us be apart of your lives, and capturing your precious families and memories. We hope you enjoy your images for years to come and wanted to give a little thank you promotion to help you do that. 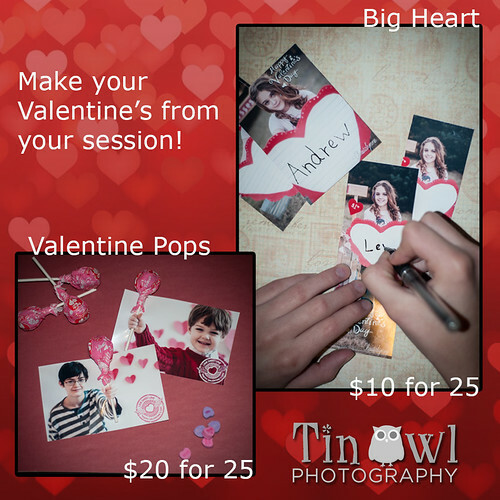 We want to make that easier this holiday season by offering you a chance to win a 20 page 5×7 photo book, a value of $45, of your Tin Owl Photography 2013 session! To win share your contest photo, found on our Facebook contest page, with your friends and family to have them vote for your photo. The image with the most number of likes will win the book. The contest opens today and will be available until December 1st, so share that image! Our second way to make sharing your images easier this holiday season is by offering a 50% off discount on all digital files. Each file will now be $1 each! So now you can get more from your session and print more images in your own way! If you want the whole session save even more by buying it for $50. No matter how many images, one flat rate! This discounted rate will be gone at 6 pm central December 1st, so don’t delay! Thank you for choosing Tin Owl Photography for your 2013 photographer. We look forward to seeing you in 2014. We are so excited to introduce the Spread the Love Program. As a thank you to those that refer us to new clients we want to give you back the love you send to us. For every photo session purchased at regular price we will send you a stack of rep cards. Pass these cards out to your friends and family and they will get a picture of you on a $50 off coupon! When we get these cards returned to us, we know they were sent by you. When we get four of your rep cards, you get a free session! For Seniors we changed it up and when a friend books a senior session with their card they get a $15 visa gift card. So every session we get with their card, they get $15 back, no limits! Pass out $50 off coupons with your picture. Reap the rewards of friends getting portraits, too! 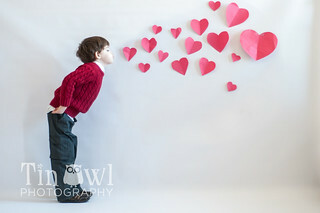 Give us a hoot and let us know when to schedule your session in. Don’t see your city but want a chance? Let us know, if there is enough interest we can add it in.